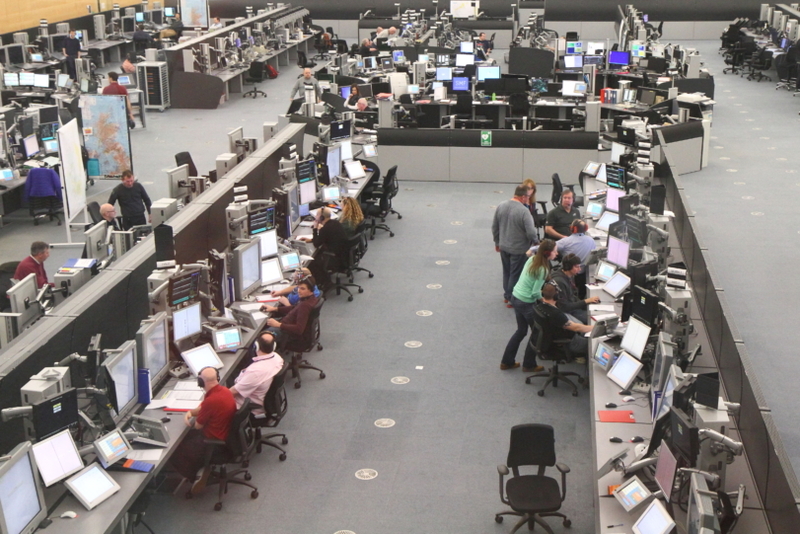 Following hundreds of hours of testing and fine tuning, a state of the art new air traffic control system has entered full operational service at Scotland’s Prestwick Control Centre. The system – called iTEC – is the next generation of air traffic control technology designed to increase airspace capacity and improve safety by automatically detecting potential aircraft conflicts ahead of time. It also helps reduce aircraft fuel burn and emissions by enabling the future introduction of ‘Free Route Airspace’ above 28,000 feet, giving pilots greater flexibility to fly the best and most direct routes instead of following the existing network of rigid waypoints and airways. Over 110 air traffic controllers at Prestwick have spent the last 10 months being trained on the new system, which has been in use periodically at increasingly busy times since January in preparation for a full switch over. The system will initially be used to only control aircraft at high altitude over Scotland, northern England and Northern Ireland, but will be rolled out across the entire UK operation at NATS’ Prestwick and Swanwick centres during the next five years. The iTEC platform has been developed by Indra to be interoperable with air traffic management systems across Europe. Its introduction at Prestwick – only its second deployment – represents a major milestone for NATS and helps bring the prospect of a Single European Sky closer to reality. Prestwick Centre acts as Europe’s transatlantic gateway, with responsibility for 2.2m km2 of airspace and handling 80% of North Atlantic traffic. The successful deployment of iTEC forms part of a broader programme that will see NATS investing £600 million in new technology over the coming five years.